The Computer Operator BS-11 from Water Management Agriculture Department Punjab are filed the writ petition for up-gradation of the post of Computer Operator BS-11 to BS-16. The respondents may very kindly be directed to implement the recommendations of the DG Water Management and to upgrade the post in BS-16 without any further loss of time. It is further prayed that during pendency of this writ petition, the respondents may very kindly be directed to provisionally upgrade the post of Computer Operator from BS-11 to BS-16, in the interest of justice. 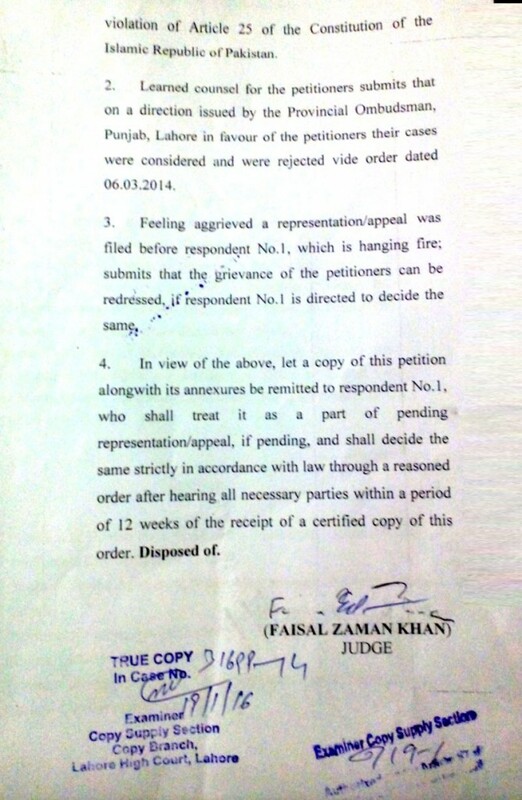 Hon’able court let a copy of this petition be remitted to respondent No.1, who shall treat it as a part of pending representation/appeal (for up-gradation), and shall decide the same strictly in accordance with law through a reasoned order after all hearing all necessary parties within a period of 12 weeks of the receipt of a certified copy of this order and petition stand disposed of. 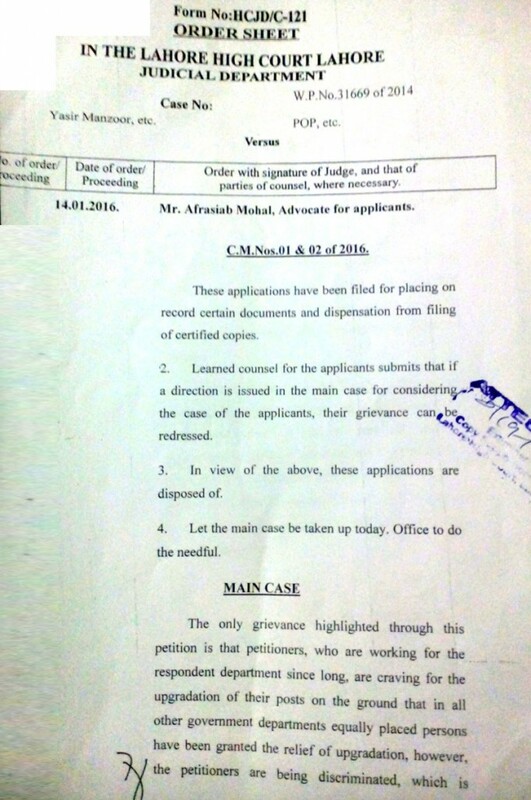 Special thanks to Mr. Yasir Manzoor, Computer Operator for providing the copy of Court orders from Nankana.